When most people hear the word vaccine, they think of a way to prevent disease. However, therapeutic vaccines aren't used for prevention. Instead, they're used as a method of treatment. 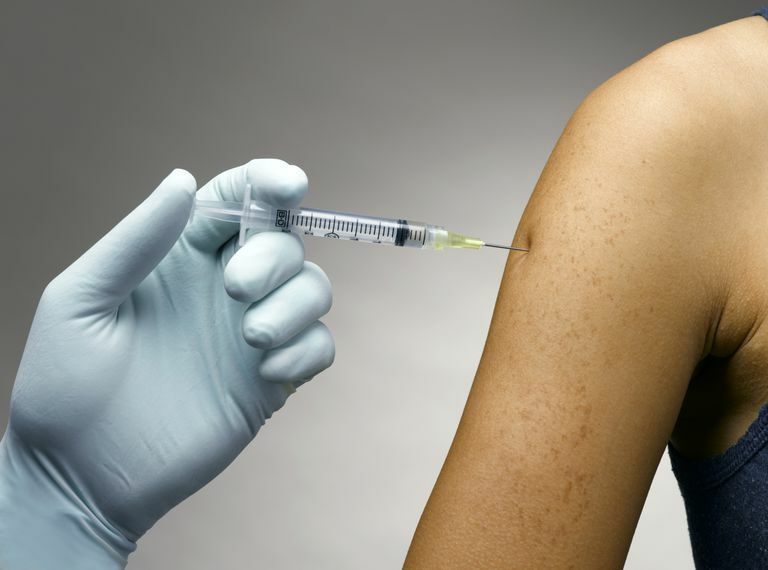 Just like a regular vaccine, therapeutic vaccines are used to stimulate the immune system to target an infection or a type of diseased cell such as a cancer cell. In other words, therapeutic vaccines help teach the body how to do a better job of protecting itself. The goal is to boost the immune system to help it control, or get rid of, an otherwise difficult to treat condition. Much of the discussion of therapeutic vaccines revolves around targeted treatments for cancer. However, a number of researchers are also working on developing therapeutic vaccines that might be able to control viral STDs and their complications. For example, not all ongoing HIV vaccine research is looking for a way to prevent HIV infections. Some scientists are also working on developing a therapeutic vaccine to help currently infected patients maintain lower viral loads. In other words, the goal is to treat and control the infection, ideally without using as many drugs. Scientists know that some HIV positive patients are long term non-progressors whose bodies are capable of naturally keeping their HIV infections under control. Therefore, immune system control of HIV infection is theoretically possible. Another viral STD that has been targeted by vaccine researchers is the human papillomavirus (HPV). Three preventative vaccines are already on the market. However, millions of men and women were infected with HPV before those vaccines became available. Even with the current vaccines, still more are being infected each day. Therefore, scientists are looking for ways to help people's bodies do a better job of clearing HPV infections to prevent their progression to cervical cancer or any of the other cancers HPV can cause in both women and men. This research actually overlaps with targeted cancer therapy research. Some HPV therapeutic vaccine research is aimed at attacking the tumors caused by HPV rather than attacking the viral infection directly. Furthermore, despite what some people think, scientists are also actively working on both therapeutic and preventative vaccines for herpes. To date, most of the research hasn't been terribly successful. However, there were some promising results from a small therapeutic vaccine trial published in 2017, which found that their trial vaccine was able to reduce both viral shedding and the number of new lesions. Hopefully, trials of this and other therapeutic herpes vaccines will continue to have positive results in the future. Finally, hepatitis C remains an important target for vaccine development, although expectations aren't terribly high. One of the reasons why hepatitis C is so problematic is that the immune system generally does a pretty bad job of fighting it. Fortunately, the development of highly effective direct-acting antivirals is currently making the quest for a vaccine feel a little less urgent. Still, many people would be thrilled if hepatitis C were as preventable as hepatitis A and B for which safe, effective vaccines are already available. Diniz MO, Cariri FA, Aps LR, Ferreira LC. Enhanced therapeutic effects conferred by an experimental DNA vaccine targeting human papillomavirus-induced tumors. Hum Gene Ther. 2013 Oct;24(10):861-70. doi: 10.1089/hum.2013.102. Johnston C, Gottlieb SL, Wald A. Status of vaccine research and development of vaccines for herpes simplex virus. Vaccine. 2016 Jun 3;34(26):2948-2952. doi: 10.1016/j.vaccine.2015.12.076. Liang TJ. Current progress in development of hepatitis C virus vaccines. Nat Med. 2013 Jul;19(7):869-78. doi: 10.1038/nm.3183. Morrow MP, Yan J, Sardesai NY. Human papillomavirus therapeutic vaccines: targeting viral antigens as immunotherapy for precancerous disease and cancer. Expert Rev Vaccines. 2013 Mar;12(3):271-83. doi: 10.1586/erv.13.23. Rodriguez B, Asmuth DM, Matining RM, Spritzler J, Jacobson JM, Mailliard RB, Li XD, Martinez AI, Tenorio AR, Lori F, Lisziewicz J, Yesmin S, Rinaldo CR, Pollard RB. Safety, tolerability, and immunogenicity of repeated doses of dermavir, a candidate therapeutic HIV vaccine, in HIV-infected patients receiving combination antiretroviral therapy: results of the ACTG 5176 trial. J Acquir Immune Defic Syndr. 2013 Dec 1;64(4):351-9. doi: 10.1097/QAI.0b013e3182a99590. Zong J, Wang C, Wang Q, Peng Q, Xu Y, Xie X, Xu X. HSP70 and modified HPV 16 E7 fusion gene without the addition of a signal peptide gene sequence as a candidate therapeutic tumor vaccine. Oncol Rep. 2013 Dec;30(6):3020-6. doi: 10.3892/or.2013.2742. Bernstein DI, Wald A, Warren T, Fife K, Tyring S, Lee P, Van Wagoner N, Magaret A, Flechtner JB, Tasker S, Chan J, Morris A, Hetherington S. Therapeutic Vaccine for Genital Herpes Simplex Virus-2 Infection: Findings From a Randomized Trial. J Infect Dis. 2017 Mar 15;215(6):856-864. doi: 10.1093/infdis/jix004.